Secure Arkansas’ position is to support state sovereignty, our liberties, our property rights, and our rights to life, liberty, and the pursuit of happiness. Therefore, we believe that an application for an Article V convention will fundamentally destroy our existing Constitution and way of life. Supporting details are in this article. Legislators, we compel you: don’t summon Congress to call a convention through SJR3! We are asking you to question what the well-paid lobbyists have told to you. And please consider the fact that lobbyists are PAID, therefore they have an agenda. Secure Arkansas does not, other than freedom. We are not paid. Please, withdraw your name immediately as a sponsor to this deceptive bill/resolution for an Article V amendment convention which has an ill-fated unknown outcome. It’s a bait-and-switch! All previous calls or applications for a convention MUST quickly be sponsored so that they can be rescinded! Click here for an example of a resolution to RESCIND all calls for an Article V Convention. The convention lobbyists work with various groups on both the left AND the right that are calling for an Article V amendment convention. The ill-advised legislators supporting an Article V Constitutional Convention are either ignorant or are part of the problem in their desire to destroy the U.S. Constitution. Those legislators supporting SJR3 must not have done their proper homework and appear to be void of conviction. They should not be trusted. Powers and rulers in high places are at play here. Attention, dear reader! It’s imperative that the legislators read the progressive book “The Constitution in 2020.” (It’s important to know the real enemy). Ask your legislator if they have read this reprehensible book. We doubt if any legislator is familiar with it. (Cass Sunstein wrote the 2nd chapter in the book.) If your legislator had read this book, he/she would not be sponsoring or co-sponsoring SJR3. George Soros and other black-hearted globalists are funding and playing BOTH SIDES of this agenda in order to control the sinister outcome by 2020. This is called controlled opposition. The Constitution in 2020 calls on liberals to articulate their constitutional vision in a way that can command the confidence of ordinary Americans and sway them to the progressive side of dogma. It is a propaganda piece laid out in painstaking and alarming detail. Major proponents of the Constitution 2020 movement are George Soros, Cass Sunstein and Eric Holder. George Soros is bankrolling and heavily supporting the Constitution 2020 movement. He staunchly believes that the Constitution is a living, breathing, evolving document. He believes in a new and improved Bill of Rights. His Open Society Institute and the Center for American Progress sponsored the Constitution 2020 conference in April of 2005. Cass Sunstein is directly connected to Soros’ funding for the Constitution 2020 movement, which openly seeks to create a “progressive” consensus as to what the U.S. Constitution should provide for by the year 2020. In April 2005, Sunstein was the opening act for a conference at Yale Law School entitled, “The Constitution in 2020,” which sought to change the nature and interpretation of the Constitution by that year. Eric Holder sat on the board of a Soros-funded group pushing the same “progressive” constitution in the Constitution 2020 movement. The Constitution in 2020 book mandates the Constitution 2020 movement which pushes a changed constitution by the year 2020. One group seeking a convention in the hope that it would produce a balanced budget amendment to the Constitution claims — using highly dubious math— to have resolutions from 28 of the 34 states required to compel Congress to call such a convention. Another group, the Convention of States Project (COSP), seeks more broadly to strip the federal government of power. 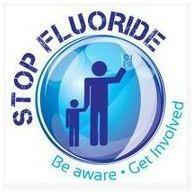 The American Legislative Exchange Council (ALEC) is supporting this effort. Much of the opposition to calling an Article V convention results from the danger that such a convention could veer in dangerous and unpredictable directions, especially in this toxic political atmosphere. Recognizing these concerns about a runaway Article V convention, Convention Of States Project (COSP) and American Legislative Exchange Council (ALEC) have urged states to pass lawspurporting to direct delegates how to vote and providing for those delegates’ recall should the delegates disobey the legislature’s instructions constraining how their delegates could vote. These bills are a sham that do nothing to reduce the dangers of calling an Article V convention. Nothing! If two-thirds of the states ask Congress to call a constitutional convention, Congress must do so. Every amendment to date has been proposed and ratified through the first method. These groups are seeking to persuade state legislatures to take the country into the uncharted territory of an Article V convention. 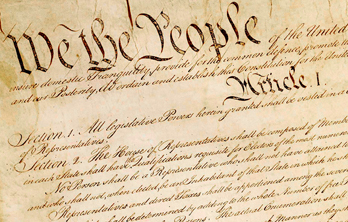 NOTHING in Article V, or anywhere else in the Constitution, authorizes Congress, state legislatures, or anyone else to LIMIT the agenda of an Article V convention. And even if they did, the Supreme Court has made clear that the process of amending the Constitution is a “political question” into which the courts would not intervene. Once the delegates convene, they are answerable only to themselves! (But aren’t they highly influenced by special interests by both the right AND left? So, couldn’t that negatively affect the outcome of any convention?) The product that emerges from an Article V convention will be radically different from what those asking it to be called may have envisioned, just as the Philadelphia Convention of 1787 departed sharply from its mandate to propose amendments to the Articles of Confederation. First, nothing in the Constitution gives state legislatures the power to control their states’ delegates any more than state legislatures can control their states’ Members of Congress. Once selected, delegates to an Article V convention become federal officials with authority derived from Article V, not from the states. In Bush v. Palm Beach County Canvassing Bd., the U.S. Supreme Court held that, when state officials derive their powers from the U.S. Constitution, federal law can constrain state officials’ actions. Second, even if such state laws were valid and binding, no one is or can be empowered to enforce them. Article V limits Congress’ role to calling a convention once a sufficient number of states have made valid requests; it would have no authority to oust delegates, even if it wanted to do so. As noted, the Supreme Court has made clear that such matters as political questions that federal courts may not decide. State courts have no authority to intervene in a federal constitutional convention. Finally, even if such laws were valid and enforceable, the convention would almost certainly finish its work before the laws could be invoked. Particularly if delegates are aware of such state laws, they could readily arrange for all matters before the convention to be decided by a single up-or-down vote at the end of its proceedings. Negotiators on complex matters routinely operate on the basis that nothing is agreed until everything is agreed. This leads to a single large package that is approved as a block at the very end. At that point, the convention would disband, and any recall of delegates would be meaningless. Calling an Article V convention is reckless, especially at this divisive moment in our nation’s political history. Nothing that these groups propose does anything even to mitigate the risks that a convention would bring. State legislatures should not delude themselves that the dangers of an Article V convention can somehow be contained. Our only precedent for an “amendments convention” is the Federal Convention of 1787 which was called by the Continental Congress “for the sole and express purpose of revising the Articles of Confederation” (AOC). But the Delegates ignored Congress’s limiting instructions (and the limiting instructions from their States) and wrote a new Constitution – the one we have now. Furthermore, the new Constitution had a new and easier mode of ratification. Whereas Amendments to the AOC had to be approved by the Continental Congress and all of the then 13 States, the new Constitution provided at Article VII that it would be ratified by only 9 States. A third constitution could provide for ratification by national referendum instead of 3⁄4 of the States! In Federalist No. 40 (15th para. ), James Madison invoked the Delegates’ “transcendent and precious right” to alter or abolish our form of government, as recognized in the Declaration Of Independence, to justify ignoring their instructions and drafting a new Constitution which created a new government. The Declaration of Independence recognizes that a People have the self-evident right to throw off their form of government and set up a new one. We can’t stop Delegates from exercising self-evident rights! Since Congress “calls” the convention, they have traditionally claimed the power to determine the number and selection process for Delegates. See the April 11, 2014 Report of the CRS (p.4). Congress may appoint themselves as Delegates. Nothing requires Congress to permit States to participate in the convention! Delegates wouldn’t be under state control. An Article V convention is not a state function. The convention would be a federal convention called by Congress to perform the federal function of addressing a federal constitution. As Sovereign Representatives of The People, Delegates would have sovereign immunity for what they do at a convention. Art. I, § 6, cl.1 of the US Constitution, and state constitutions recognize that legislators have immunity. The CRS Report (pg. 37) shows that Delegates to an Article V convention will have immunity. James Madison’s Journal of the Federal Convention of 1787 shows that on May 29, 1787, the Delegates voted to make the proceedings secret. If Delegates today decide to meet in secret or vote by secret ballot, the states would never know who did what. The American Legislative Exchange Council (ALEC) writes model Art. V convention legislation and is experienced at holding secret meetings with state legislators from which the Press is barred by armed guards. Delegates, as Sovereign Representatives of the People, are not answerable to state legislatures (which are “mere creatures” of the state constitutions) or to Congress (which is a “mere creature” of the federal Constitution). The Delegates have the power to eliminate the federal and state governments –precisely what the proposed Constitution for the Newstates of America does. 3. Convention Of States Project (COSP) says their application doesn’t ask Congress to call a “constitutional convention,” but rather, a “convention of states” which falsely implies it is controlled by the states. COSP has fooled some legislators into believing they can be against a “constitutional convention” (where our existing Constitution can be replaced); and yet support an “Article V convention” which COSP has redefined as “convention of states” controlled by state legislators. But there’s no such thing in the Constitution! Convention of States Project made it up! 4. In the Constitution we have delegated only a few powers to the fed. gov’t. But for 100 years, everyone has ignored the existing limitations. We can’t fix federal usurpations of non-delegated powers with Amendments, because Amendments can’t take away powers the Constitution doesn’t grant! 1 None of the Delegates to the federal convention of 1787 said the purpose of an Art. V convention is to enable States to get amendments to the Constitution in order to remedy violations of the Constitution by the fed. gov’t. COSP fabricated that claim! See: What the Framers really said about the purpose of amendments to our Constitution. Furthermore, our Framers knew the People had the right to meet in convention and draft a new Constitution whether or not the convention method was added to Art. V; and they couldn’t stop People in the future from doing what they had just done. Most likely, the convention method was included in Art. V to induce Anti-federalists to support the new Constitution. 2 Four US Supreme Court Justices and other luminaries have warned that an Article V convention is fraught with peril. 3 George Soros wants a Marxist constitution in place by 2020. Globalists want us in the North American Union. The proposed Newstates Constitution establishes a dictatorship and is easily ratified via national referendum (Art. XII, §1). In Federalist No. 49, James Madison said a convention is neither proper nor effective to restrain government when it encroaches. Secure Arkansas asks, who will you believe? James Madison, the founder of our country, or lobbyist, Mark Meckler? In his Nov. 2, 1788 letter to Turberville, Madison said he “trembled” at the prospect of a 2nd convention; and if there were an Article V convention: “the most violent partizans”, and “individuals of insidious views” would strive to be delegates and would have “a dangerous opportunity of sapping the very foundations of the fabric” of our Country. Secure Arkansas asks, who will you believe? James Madison or lobbyist Tom Coburn from Oklahoma who is paid almost $250k a year to promote this agenda. In Federalist No. 85 (last para), Hamilton said he “dreads” the consequences of another convention because the enemies of the Constitution want to get rid of it. Secure Arkansas asks, who will you believe? Alexander Hamilton or the Convention of States Project (COSP)? Justice Arthur Goldberg said in his 1986 editorial in the Miami Herald that “it cannot be denied that” the Philadelphia convention of 1787 “broke every restraint intended to limit its power and agenda,” and “any attempt at limiting the agenda [at an Article V convention] would almost certainly be unenforceable.” Secure Arkansas asks, who will you believe? Justice Arthur Goldberg or American Legislative Exchange Council (ALEC)? Chief Justice Warren Burger said in his June 1988 letter to Phyllis Schlafly: “…there is no effective way to limit or muzzle the actions of a Constitutional Convention… After aConvention is convened, it will be too late to stop the Convention if we don’t like its agenda… A new Convention could plunge our Nation into constitutional confusion and confrontation at every turn…” Secure Arkansas asks, who will you believe? Justice Warren Burger or George Soros? Justice Scalia said on April 17, 2014 at the 1:06 mark of this video: “I certainly would not want a Constitutional Convention. I mean whoa. Who knows what would come out of that?” Secure Arkansas asks, who will you believe? Conservative Justice Antonin Scalia or talk show host Mark Levin? Other eminent legal scholars have said the same – Neither the States nor Congress can control the Delegates. See THIS article “A Limited Article V Constitutional Convention?” This article shows why a Constitutional Convention cannot by limited to a single issue and can become a runaway convention. Yet, convention supporters ridicule these warnings as “fear mongering.” And they quote law professor Scalia in 1979, before his decades of experience as a Supreme Court Justice, to “prove” otherwise. Ask yourself: Is it possible that James Madison, Alexander Hamilton, Chief Justice Jay, Justice Goldberg, Chief Justice Burger, and Justice Scalia understood something about the plenipotentiary powers of Delegates to an Article V convention which the pro-convention lobby hasn’t grasped? The likes of the puppet lobbyist Mark Meckler and his false doctrine that he’s been instructed to teach are NOT going to better our government, dear reader! After all, “we’re living in the New Age,” is the new cry. 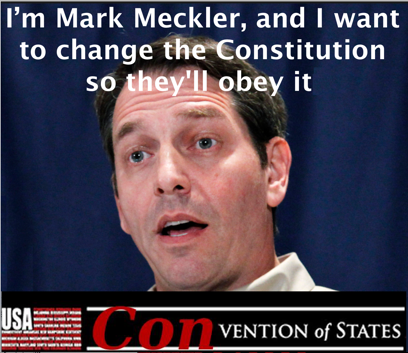 The Convention of States and Meckler’s other groups have spent MILLIONS of dollars per year to promote this. The corrupt Arkansas Legislature cannot be trusted either. More indictments are still likely to be handed out continuing from last year’s disgrace. The Arkansas Legislature is as corrupt as it gets, folks. We can’t let them dictate the fate of our beloved state and summon Congress to call a convention. They have stated that they can control things once a convention is underway, but we assure you, they CANNOT! Globalists insist that our U.S. Constitution must be totally rooted out of the memory of the people and our national sovereignty abolished, if we are going to be under a true global citizenship with a One World Government. Global players and programs await this PREdetermined outcome of this cruel ordeal… unless you take responsibility and take action now. Again, TAKE ACTION! So let it be written; so let it be done.